Your kids will have time to get to grips with the equipment and a briefing on the safe use of your kit and the ‘Rules of Engagement’. You’ll then be able to play a role straight away in your first training mission! Kids need to be over 8 years old to play. The sophisticated guns fire Infra-Red (I/R) beams so there’s no projectiles and no mess. Each gun is issued with a red dot or scope sight for incredible accuracy. This is an amazing birthday party for children which they’ll be talking about for weeks. We adapt games and scenarios, so children of all ages get a party pitched at the right level. 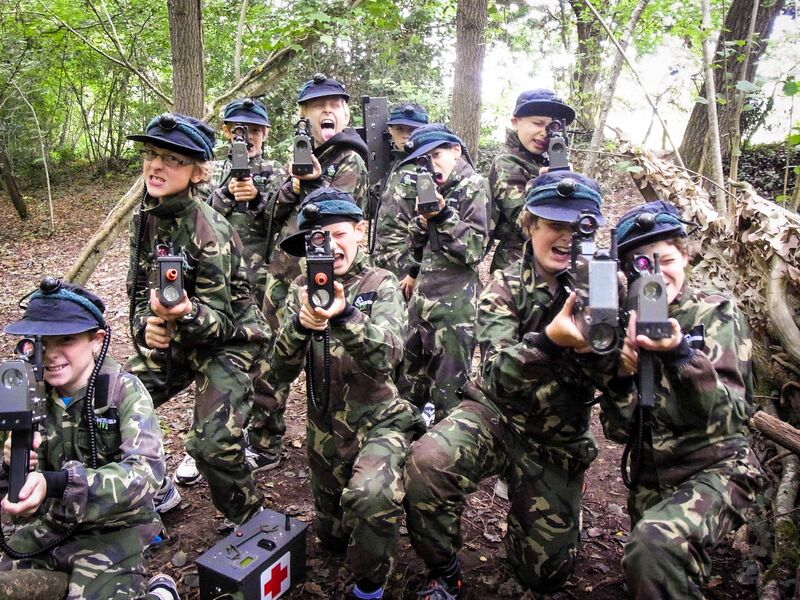 You’ll need at least eight children to book a group and we can accommodate up to 36. If your have smaller numbers you can join in existing open battles. We have more options for parties. Visit our sister company New Forest Activities for more info!